Below is a comprehensive list of hotels in Haddon Hall. Use the sort links to refine your search or to find featured accommodation in Haddon Hall. Many of our hotels in Haddon Hall feature no booking fees and best price guarantee when booked through the Pictures of England website. To list your hotel in Haddon Hall, click here. Priest Hill is a holiday home set in Bakewell in the Derbyshire Region and is 1.5 km from Haddon Hall. Offering free private parking, the cottage is 5.. Situated 1.5 km from Haddon Hall and 5 km from Ashford Castle, Cokaynes offers pet-friendly accommodation in Bakewell. It provides free private parkin.. 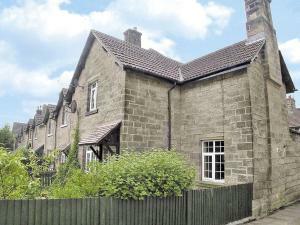 Manners is a holiday home located in Bakewell in the Derbyshire Region and is 1.5 km from Haddon Hall. Providing free private parking, the cottage is ..
Henrys Haunt is a holiday home set in Bakewell in the Derbyshire Region and is 1.5 km from Haddon Hall. The cottage is 5 km from Ashford Castle. The .. Featuring a garden, De Ferrers is a holiday home situated in Bakewell. The property is 1.5 km from Haddon Hall and free private parking is featured. F.. The Chapel is a holiday home situated in Bakewell, 1.5 km from Haddon Hall. The property is 5 km from Ashford Castle and boasts views of the garden. F..
Set in Bakewell in the Derbyshire Region, this holiday home features a garden with a barbecue. Providing free private parking, the cottage is 1.5 km f..
Hartle is a holiday home with a garden, set in Bakewell in the Derbyshire Region. It provides free private parking. 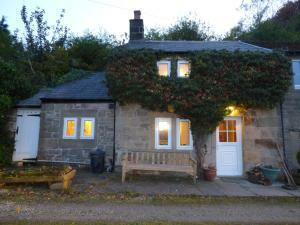 Free WiFi is available throughout ..
Harthill Barn is a holiday home set in Bakewell, 1.5 km from Haddon Hall. The property is 5 km from Ashford Castle and features views of the garden. F.. Featuring free WiFi, Fern Bank offers pet-friendly accommodation in Great Rowsley. Free private parking is available on site. All rooms include a fla.. 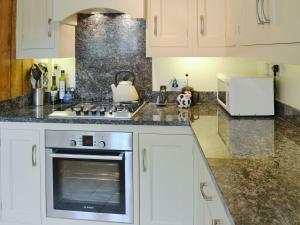 Located 2.1 km from Haddon Hall, Wye View offers pet-friendly accommodation in Bakewell. The unit is 7 km from Ashford Castle, and guests benefit from.. 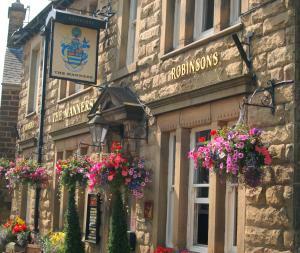 Dating back to the 18th century, the Grouse and Claret is situated in Rowsley, on the A6 between Matlock and Bakewell. With free Wi-Fi and free onsite.. 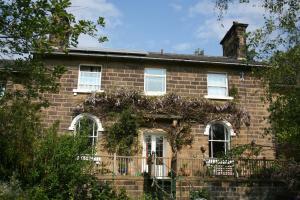 Featuring free WiFi and a sun terrace, Gardeners Cottage B&B offers accommodation in Bakewell. Free private parking is available on site. The rooms i.. Situated in Great Rowsley, this holiday home is set 41 km from Nottingham. 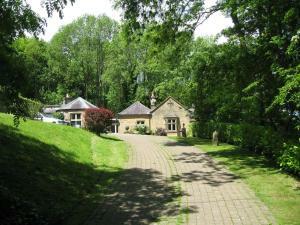 The property is 26 km from Sheffield and features views of the garden. The.. Featuring free WiFi throughout the property, The Cottage is a holiday home, set in Great Rowsley. It provides free private parking. The kitchen featu..
Set in the Derbyshire Region, 2.1 miles from Bakewell and 4 miles from Matlock town centre, Swallow Cottage was built in 1540 and features a terrace a..
Set in Great Rowsley, this holiday home is located 42 km from Nottingham. The unit is 22 km from Sheffield. The unit is equipped with a kitchen. A TV.. Located in Rowsley, on the edge of the Peak District National Park, the Old Station House B&B features countryside views, free Wi-Fi and free private .. Situated 2.5 km from Haddon Hall in Bakewell, The Manners Pub with Rooms features a restaurant and free WiFi throughout the property. Guests can enjoy..